Crawford received his bachelor’s degree in 1919, his master’s in 1922, and a doctorate in sociology in 1926, all conferred by the University of Pennsylvania. In 1933-34 he was awarded a Fellowship of the Social Science Research Council and he spent a year studying in Europe, after which from 1934 to 1941 and again for a year in 1946, Crawford was the chair of the sociology department at the University of Pennsylvania. In 1941-42, Crawford taught at the University of Chile at Santiago, and he spent two years in Brazil as the cultural relations attaché at the American Embassy in Rio de Janeiro. Returning to the states, he became the director of the Philadelphia Inter-American Training Center, and a member of the executive committee of the National Association of Foreign Student Advisers. He became the chairman of the regional committee for interviewing teachers for exchange to other countries and the vice president of International House of Philadelphia (then located at 3905 Spruce Street). In 1949 and in 1950, he was the director of Friends International Seminars in Vienna and Geneva. In 1946, Crawford became the director of Inter-American Activities at Penn and worked closely with Dr. Arthur P. Whitaker, a professor of history and the chairman of the Committee on Inter-American Studies. 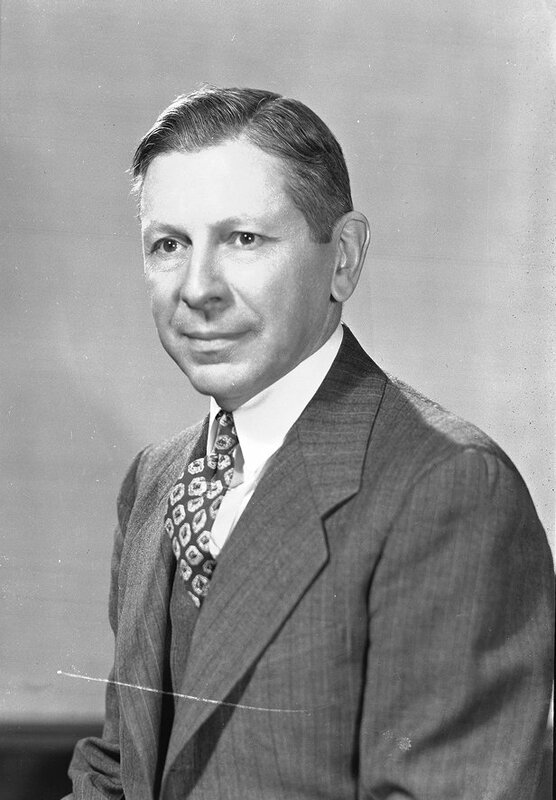 In 1949, Inter-American Activities was integrated into the new Office for Foreign Students, and Crawford remained director of that office until 1953. He stated that the new office was “to help students from other lands in any way possible, but especially with academic problems.” He said that there was “no intention of competing with International House” and that the office would also “assist American students in connection with plans for study abroad or in Latin America, and to serve as the campus center of information on the Fulbright Act.” Crawford also became the director of the African Orientation Course. In 1953, Crawford took a leave of absence (Esther Leeds became the acting Director of the Office for Foreign Students) and served as the director of the Salzburg Seminar in American Studies. On March 24th of that same year, he received the Brazilian National Order of the Southern Cross in the degree of officer at the Brazilian Embassy at Washington, because of his promotion of relations between the United States and Brazil by educating about Brazilian civilization. From 1954-1960 he was the director of the Institute of Humanistic Studies for Executives, a program designed “to broaden the educational and cultural perspectives of business executives.” Notably, he was also a former president of the Philadelphia Council for International Visitors and a former president of the Pan-American Association of Philadelphia, as well as the former vice president of the American Academy of Political and Social Science. He served on the board of directors at the Philadelphia Art Alliance. In 1965, he retired and was named professor emeritus. Crawford published two books, the first in 1944 titled A Century of Latin-American Thought published by Harvard University Press and the second in 1945, Panorama da Cultural Norte Americana, which was published in Sao Paulo, Brazil. He also translated two works, one from Portuguese by Fernando Azevedo titled Brazilian Culture and one from Spanish titled A Mexican Ulysses, the autobiography of José Vasconcelas, a famous Mexican author, politician, and philosopher.